Captain Joe checked in. 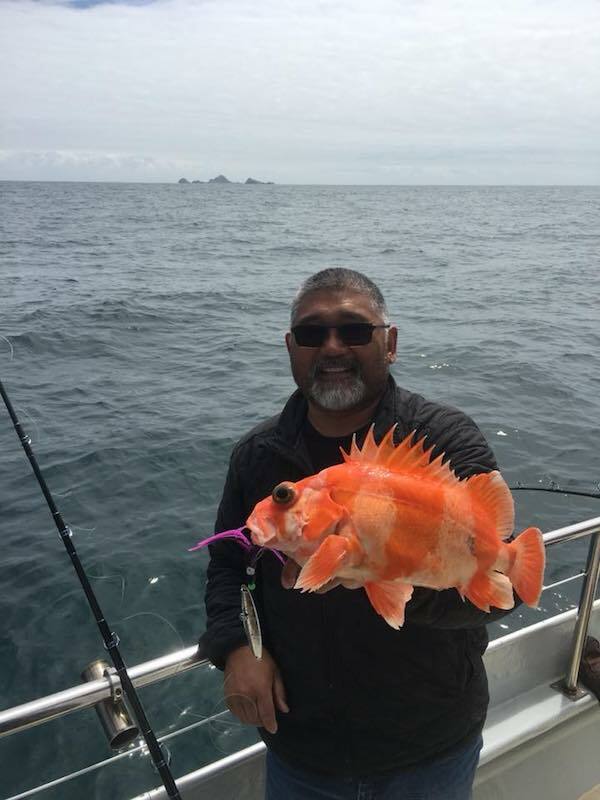 The Sea Wolf had a Halibut/Bass bay trip today so I took a ride on the Bass Tub to the islands. 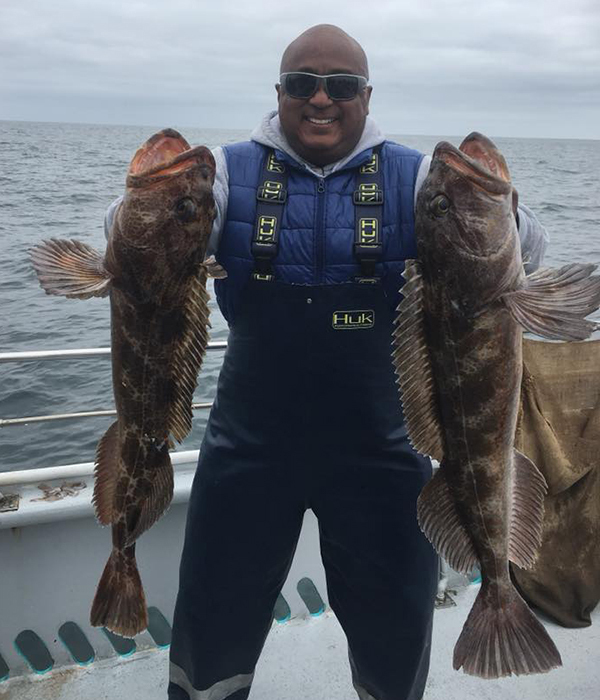 Weather was good and we had a steady bite of reds, blues, lings and things. 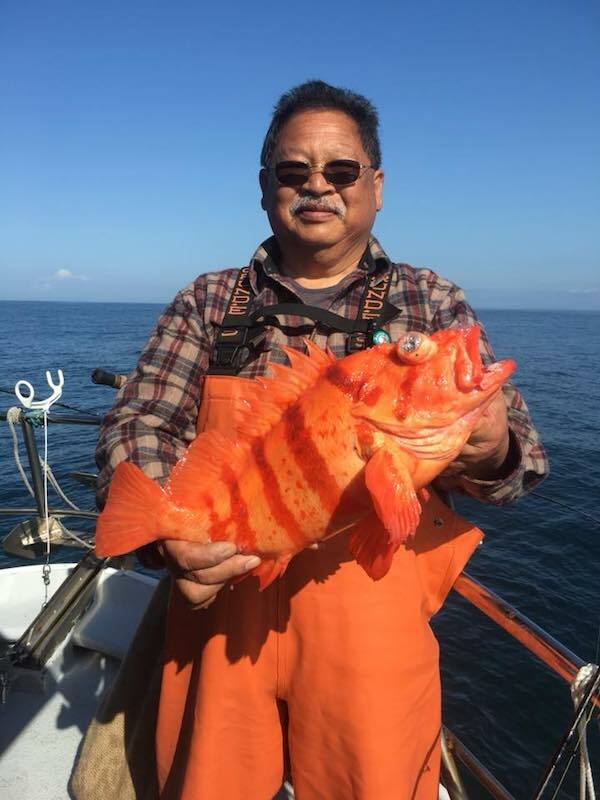 I got lucky with my flag rockfish. 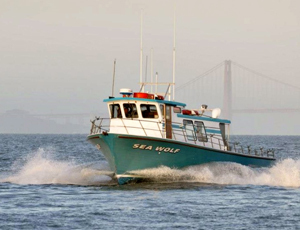 Capt Joe ran the Sea Wolf today and will be posting his score for the day.